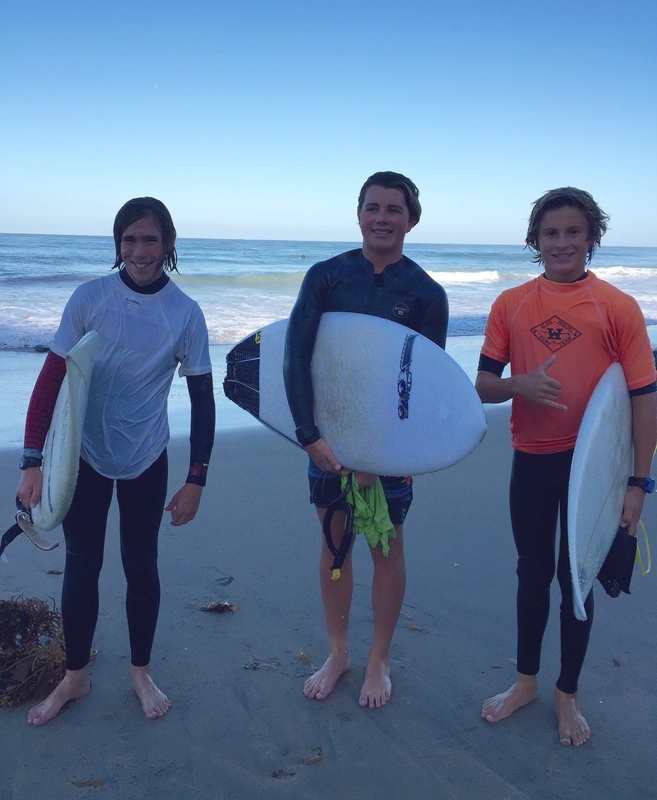 Several of the Laguna Beach High School Surf Team members competed very well in a non-league scrimmage against Aliso Niguel at Salt Creek yesterday. 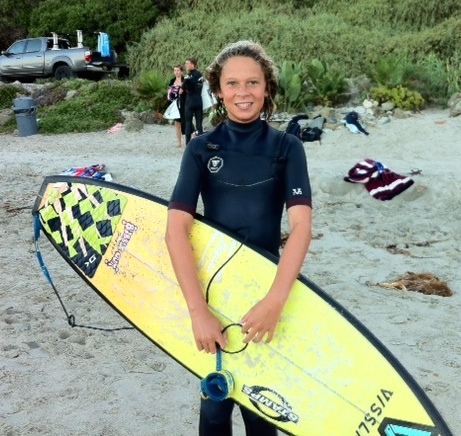 Senior Zach Levine got things started with a win in heat 1 of Boys shortboard, Zach stayed busy catching lots of nice lefts both outside and inside and looked strong and confident! Meanwhile his younger brother Jake Levine a sophomore was equally solid also taking a win. We have a very large promising Freshmen group this year to add to our depth of returning starters and yesterday was a good indication of the strength we have. Trey Lockhart and Travis Booth were matched up at the start of the event in their heats with older kids and still managed to find some really nice rides and place 2nd and 3rd respectively, We also saw strong performances by Junior, Dante Madrigal coming up with a solid win, Nate Madigan a sophomore newcomer in 2nd and Dylan Davis a senior taking a 3rd, while our all Freshman heat saw a nice win come from Liam McCue, while Jett North finished in 2nd. Our Boys Shortboard definitely came away looking very solid. Our Girls Shortboard and Longboard scored some good points and were led by a couple of Freshman, Claire Kelly getting a big win in SB and Kayla Cosino with a nice runner up finish in LB. Our Boys Longboard went at it hard and Freshmen Gaal Shonfeld found some nice rides to finish a solid 3rd in his first attempt. Our next event will be another non-league scrimmage at Salt Creek September 23 against Capo Valley.